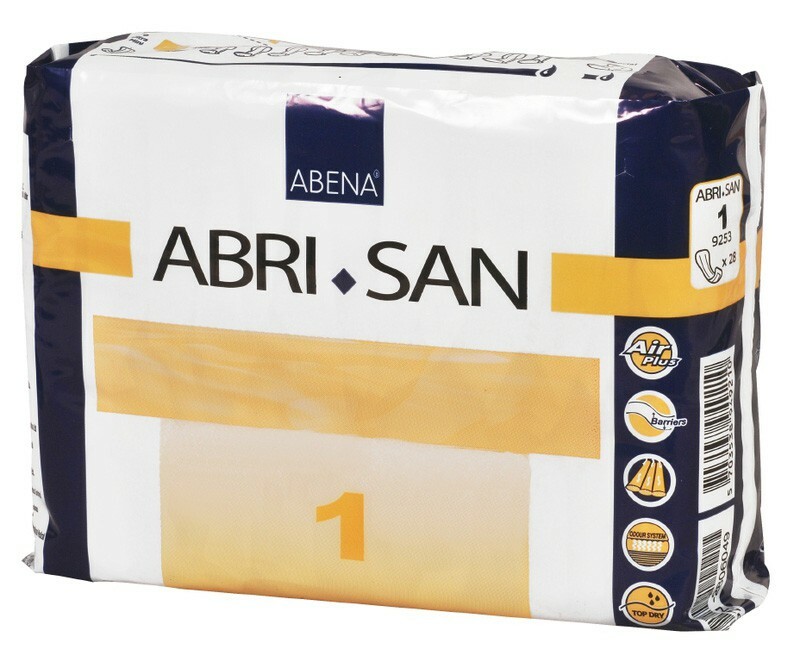 The Abri-San range forms a complete system of anatomically shaped pads for all degrees of incontinence. There are 12 different absorbency levels to meet every individuals needs, providing improved quality of care and more effective planning and cost control. The Abri-San pads are designed with state of the art Air Plus Technology that allows the skin to breathe, reducing the risk of skin irritation while feeling more comfortable to wear. The cotton feel backsheet is totally noiseless and feels soft and comfortable. The smaller pads feature self-adhesive tape to the back, and can be fitted like ordinary towels. 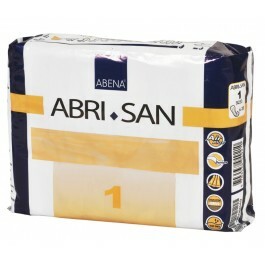 The larger pads are designed for moderate to severe incontinence and are best used with Abena special fitting underwear. The anatomical shape combined with a soft elastic border ensures a snug fit, thereby increasing comfort and secuirty. 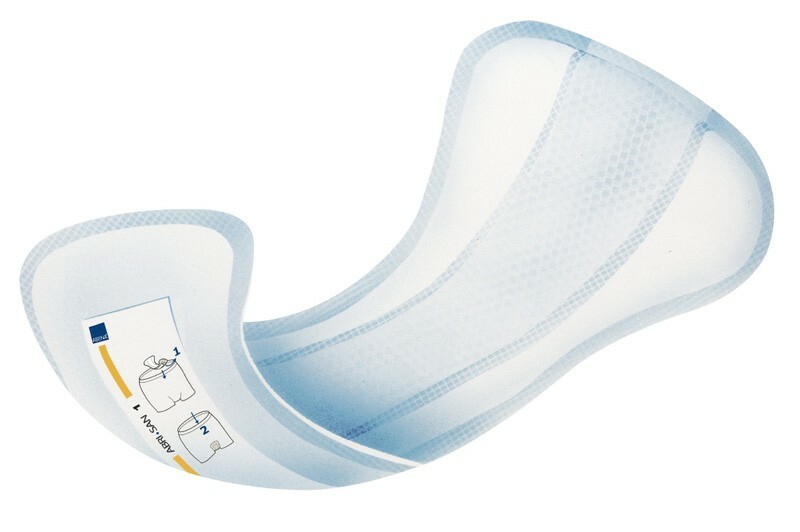 Long cellulose fibres, super absorbent, a unique fibre separation technique and an additional core in the centre of the pads provides for a maximum absorption, strength and dispersion of the absorbed liquid. A Top-Dry acquisition layer and embossed channels assist absorption whilst increasing dryness and user comfort. Soft highly repellent and waterproof leakage barriers extending right to the edge ensure unrivalled leakage protection in all situations. The most absorbent pads in the range also offer a built in cross barrier for optimum protection against rear leakage. Offer optimum comfort and discretion. Unique protection against leakage, with super soft and flat lengthwise barriers. Superior comfort and healthier skin, super soft, noiseless and breathable textile-feel exterior. Ultimate leakage protection, barriers extended right to the edge of the pad, and built-in cross barriers to front and back. Easy product identification for carers through a logical and easy to read colour code system printed on the product.